I have in the past related my memory to an old library card catalog exploded around the room. All the information is there but it can be hell to find it! As random thoughts fleet through my mind they bump these stories from that pile of cards to the front. Very special thanks to those who remind me in round about ways without ever knowing! I had been working a lot with the Korean Navy and their Defense staff in Seoul to design/build/deliver a couple aegis destroyers. Not a small feat by any measure. This meant many long meetings at embassies and Korean shipyards to discuss the minutiae required for the design and installation: from major combat systems to a cable pin outs. No detail too large or small to BEAT TO DEATH!!! On this particular trip we needed to be in Seoul one week to support meetings then to Geoje Island (near Busan) the following week. My travel companions were a older American Government Representative (Gary; who happened to be married to a Korean woman and therefore knew what barbarians such as ourselves should eat) and a Korean colonel who was representing the Republic in our ongoing negotiations/discussions. With three days to transit we opted to drive from the northernmost part of South Korea to the southernmost. Along the way stopping at the historical sites, POW camps, and taking in the countryside that most of us only know from pictures of war. Right out of the gate I made a social faux-pas… insisting that the Colonel sit up front so he can see the sites better. Wasn’t he here to prevent this? I was quietly and politely pulled aside and informed that the seat of more prestige is the back seat. Kind of like we are the chauffeurs, huh? Ok, fine, I tried. The Colonel had the seat of honor looking at the back of my head the whole trip and getting blasted in the face whenever Gary or I (combined nearly 600 lbs of American men; he being nearly 80 lbs more than I) decided to roll down our windows to air out the subtle, flowery, aromatic fragrance of yesterday’s kimchee (also spelled Kimchi) or fermented bean paste. mountains fading into blue shadow for anywhere in the Northern Hemisphere. Aside from the occasional clay pots in the front yard fermenting the aforementioned kimchee and bean paste …one could be forgiven for thinking we were in New York, Oregon, or Washington states. We did have plenty of time to make this trip so were not too stressed out about miles and stopped for nearly everything. War memorials, hikes, food, gas, lakes, markets…. anything that caught our eye. Near Geoje we stopped at a very special beach; Hakdong Mongdol Beach. “Mongdol” means pebbles. The beach is covered in small black pebbles that have been polished by the ocean unwaveringly 🙂 for eons. It is a very interesting sight to see… and hear. As the waves wash out across the rocks they click together thousands of clicks at the same time. The sound of the clicking is from the ground and emanates up your spine into your mind like a really bad case of tinnitus but instead of a high pitched ringing there is clicking. Anyone who has been diving or snorkeling may have heard the many shrimp making similar clicking sounds underwater. I still have some of these rocks that I keep in an old tea cup. Poured onto the desk for you dear reader…. The Colonel insisted that we go to the POW museum. “Sure, why not!” We head into the museum and are treated to dioramas of the war, pivotal battles, and the POW camps. Paper mache, not quite life sized, scenes of the harsh situation that the soldiers lived in, POW uprisings, and liberation. All involved perpetrated and suffered in POW camps but not all sides of this story were told at the museum. Just like U.S. memorials and museums there was a heavy bias toward the home team. I have come to learn over the years that everyone does it… nationalism at its best but also making something terrible into a point of pride. Walking silently with the Colonel through the exhibits and reading the placards written in both English and Korean. Many died in this war while fighting and in these camps. The actual number of casualties of this war are harder to nail down. China and Korea did not keep precise records while the U.S. Government has reported various number over the years. All told the estimates are between 367,000 – 750,000 dead and about 33,000 people missing. The Colonel was obviously affected by the exhibits but his face hardly changed expression. He fell very silent for a few hours afterwards. Besides splitting the country in two there were other impacts made that persist today. 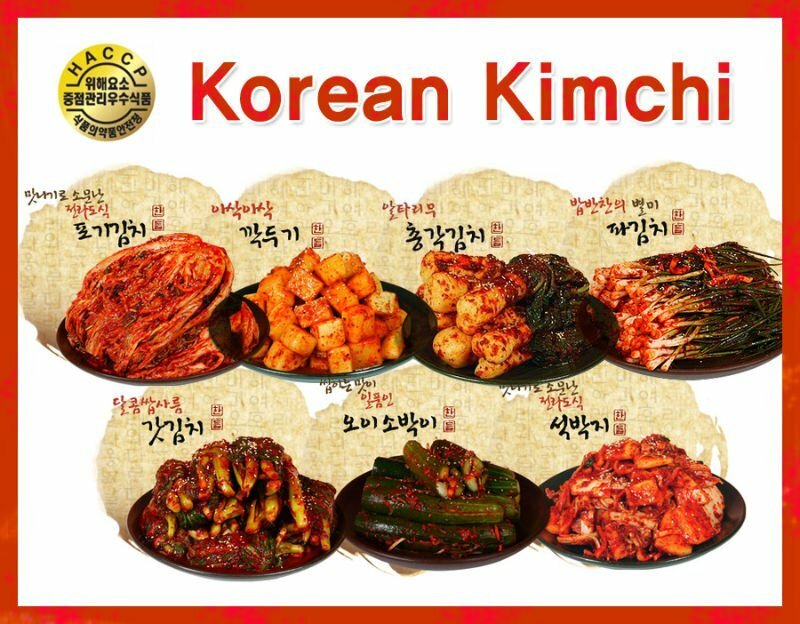 I was told by an older woman who ran the restaurant we were eating in that night that the kimchee and much of the fermented/pickled preserved food became popular during the war. Many people starved during the war and crafty housewives the country over put up preserves, stored in the ground sometimes, to survive harsh winters. This restaurant also happened to be the first time I tried ‘bibimbap’. A rice dish with bean sprouts and many other meats and vegetable bits stacked on top. Traditionally it is served in a stone bowl that is as hot as the surface of the sun; arriving at the table kind of like the American fajita plate. The rice on the bottom gets browned into a crispy delicious crunchy treat. When the bowl arrives your first instinct is always to touch it. Go for it. You’ll only do that once. (yes… I did. I am a little slow so plan on doing it again too!) The rice bowl with bean paste and other uniquely spicy Korean flavors is a hearty and delicious meal. I’ve seen it served as a rice bowl, with broth poured onto it at the table, and with a sunny-side-up egg on top. All are good eats and worth a try if you ever get tired of Korean BBQ and want something new. Our meetings in Geoje went as well as could be expected. Long and tireless discussions about $1 cost elements costing many thousands of dollars in labor just to discuss and negotiate to a position that looked like someone ‘won’. The evening food explorations continued as well. I do hope to keep going to Korea in the future. In the past 20 years they have gone from Asian backwater to very technologically connected and sophisticated leader in export of food, technology, and culture. It took me a couple of trips to Korea to learn the food enough to be completely comfortable ordering anything on the menu. The small country is very much a food island having developed their own delicious and unique flavor profiles which are completely alien to anything North American. This is likely why the top chefs are adopting these flavors from these traditional foods to put into top restaurants. I know that it did have an impact on my spice cabinet!